Is it impossible, though? Grandpa may have been from Siberia, but this Husky is all about Libraria. Inspired by Grant Snider’s Impossible Dogs artwork, Daily Create 1516 has asked us to create an impossible new breed of dog. 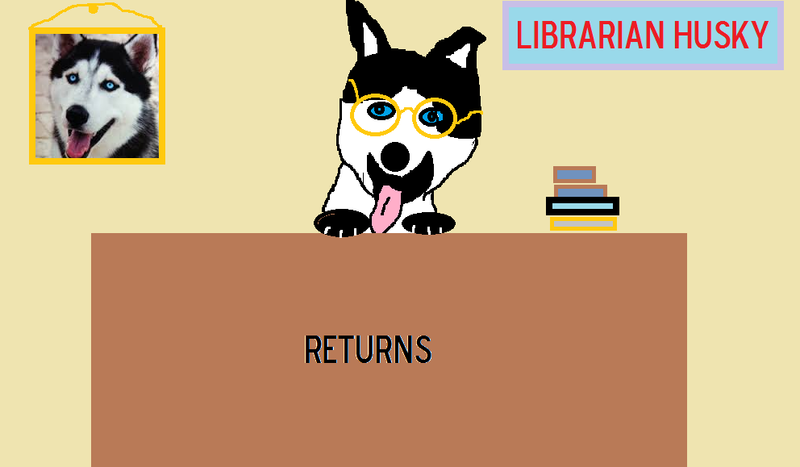 Here’s your new buddy, who doesn’t get you in trouble when you bring books back late: The Librarian Husky. He’ll even lick your stamps for you. It’s a side job of his.